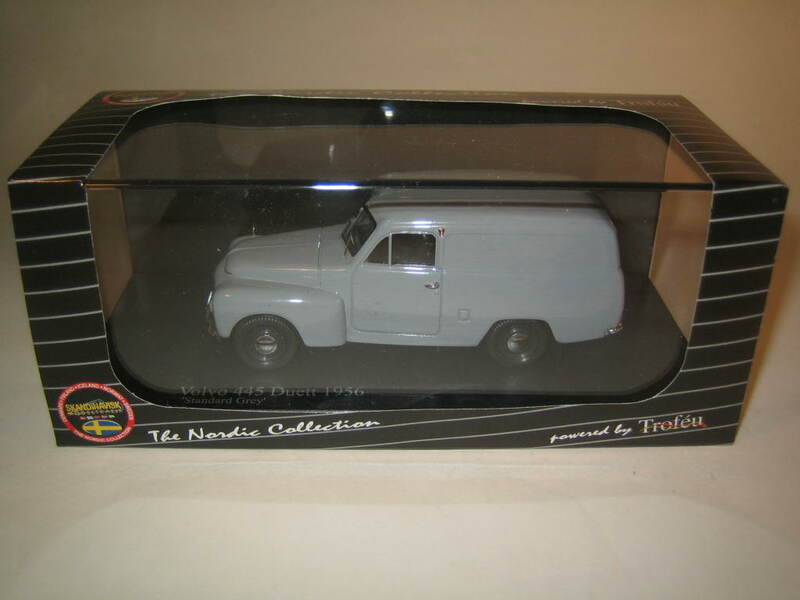 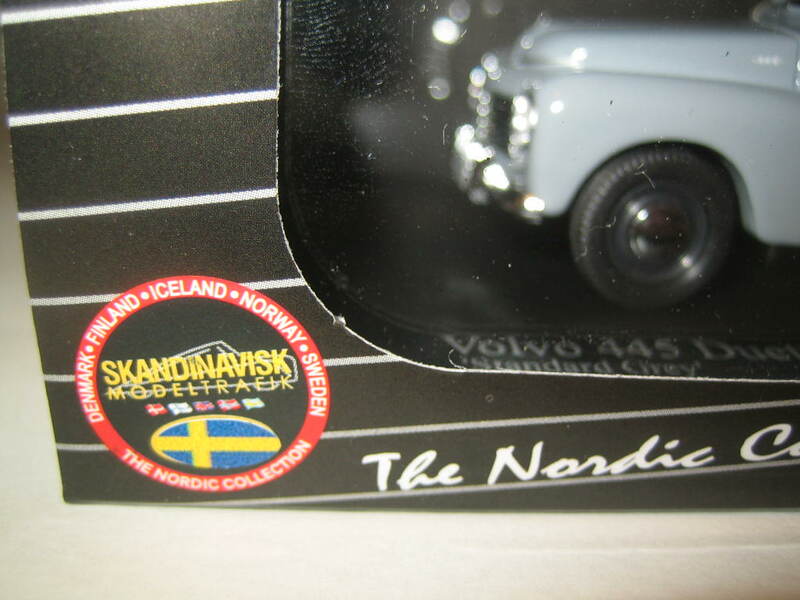 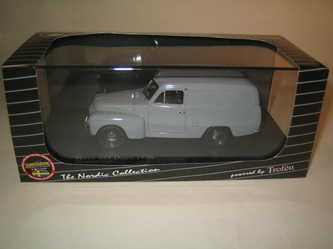 This model comes painted in the 'standard grey' as delivered by Volvo in July 1953. 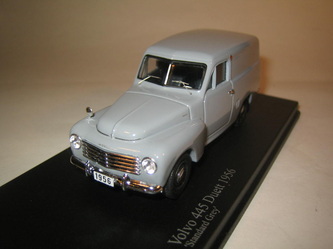 The story is that Volvo originally only made the chassis, and then a lot of local coach builders made the body. 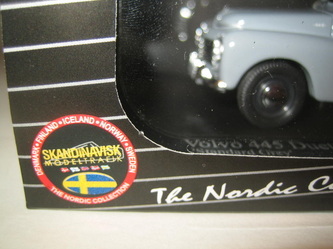 This is why you may find some exotic early versions. In 1952 Volvo had 1500 unsold chassis on stock and that was far too many. 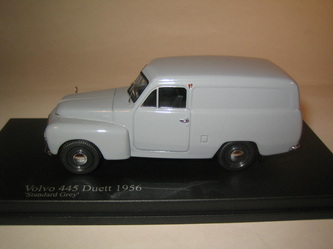 So they decided to build the body themselves to sell the 1500 chassis. 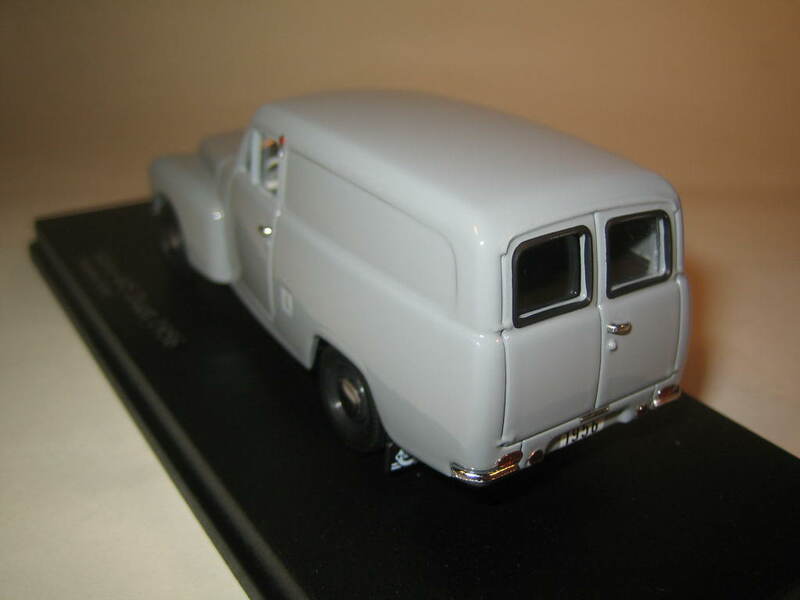 The standard grey was meant to be a basis or a ground colour, but actually many companies decided to simply put their own logo on it because it was cheaper and more simple than painting the car.